Pakistan’s Christians appear to have thrown some of their political support to Nawaz Sharif in the May 11 national election, even as they have reason to be wary of his return to power. Sharif’s party, Pakistan Muslim League-Nawaz, or PMLN, won 124 of the 272 directly elected seats in the lower house of Parliament. In Punjab province, home to more than half of Pakistan’s population and 80 percent of its Christians, the PMLN won a two-thirds majority in the provincial government. It is a remarkable comeback for Sharif, who was ousted by a military coup in 1999 and spent seven years’ exile in Saudi Arabia and Great Britain. 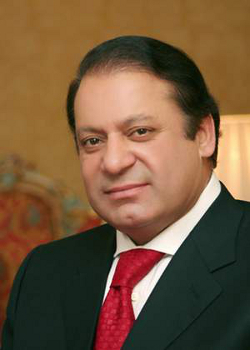 On June 5, he took office as prime minister, Pakistan’s top executive position, for a third time. Though Pakistani Christians historically have supported more liberal parties, there is evidence significant numbers backed the PMLN this time. Shahbaz Sharif, younger brother of Nawaz and chief minister of Punjab for the past five years, got the majority of votes from the predominately Christian neighbourhood of Yohannaabad of Lahore, the Punjab capital. Christians are the largest minority in Punjab. Unlike PMLN campaigns of the 1990s that carried Islamic overtones, the 2013 campaign was dominated by Pakistan’s chronic electricity shortages, relations with India and the United States, and domestic Taliban-sponsored terrorism. At points during the campaign, Sharif promised his party would give equal rights to minorities, including Christians. “The situation of Christians may be different this time because (the) Sharif brothers have promised to bring positive changes for minorities,” said Irfan Barkat, a Christian activist who once worked with the National Commission of Justice and Peace. Barkat said Christian voters may have been further encouraged by the Punjab government’s eventual response to a March riot in the Joseph Colony sector of Lahore. Thousands of Muslims, enraged by the allegations that a Christian man had insulted the Prophet Mohammed, torched about 150 Christian homes, forcing hundreds of families to flee, and beating some of those who remained. The Pakistan Supreme Court accused Lahore police of standing by during the violence and demanded an investigation. It found the Punjab government’s initial response lacking, but the government eventually did offer to help victims rebuild their homes. “The way they rehabilitated Christian families of Joseph Colony, which was attacked by Muslim protesters in March this year, have changed Christians’ view about Mr. Sharif’s party,” Barkat said. The PMLN even took the unusual step of thanking minority voters for their support. Pastor Saleem Inayat, founder and chairman of Samuel Inayat Ministries, joined leaders of other minority religions in a May 9 meeting with Nawaz Sharif, and came away impressed with his devotion to protecting minority rights. “There is going to be unbelievable positive change for the Christians,” Inayat said. If so, the PMLN will have to overcome a history that Christians find worrisome. During its time in power in the 1990s, for example, the PMLN included the fundamentalist Islamic group Jamaat-e-Islami in its coalition government. “We have seen PMLN trying to bring Islamic laws in the country in its previous regimes,” said Atif Pagaan, director of Harmony Foundation in Pakistan. Because of its wide victory margin in May, the party will need only a handful of independent members of Parliament to form a government, but some Christians remain wary. “The majority of Christians are not optimistic about Sharif’s forthcoming government because of their religious approach and close linkages with fundamentalist groups,” said Nadeem Anthony, a Christian lawyer and a member of the Human Rights Commission of Pakistan. Addressing PMLN party members May 27, Sharif said his first option in dealing with domestic terrorism is to talk with the Taliban. During the campaign season, Taliban forces attacked supporters of three more-liberal parties, and claimed responsibility for most of the resulting 1,300 fatalities. The PMLN said little about the violence. The Taliban, in turn, have close connections with Islamic militant organisations, including Sipah-e-Sahaba Pakistan, a banned terrorist organization, which has been targeting minority-Muslim Ahmedis and Shias, as well as Christians. The SSP still operates in Punjab province under a new name, Ahle Sunnat wal Jamaat, which reportedly has struck a bargain with Sharif’s party for some of the PMLN seats in the Punjab provincial government. The PMLN’s history of presiding over Punjab is marked by several episodes of anti-Christian violence. The village of Shantinagar endured a massive onslaught from Islamic extremists in 1997. In 2009, seven Christians were burned alive in Gojra after accusations flew that Christians had mocked the Quran. Hundreds of Muslims attacked the Christian village of Khokarki in 2011 after a Christian man and his son were accused of blasphemy of Islam. Earlier this year, following the riots in Joseph Colony, an argument over music between some young Christian men and two Muslim clerics quickly engulfed the entire village, including an exchange of gunfire. And just last month, about 250 Christian families from a Christian village named Chak 31, in southern Punjab, fled their homes when Muslims from a neighboring town marched on Chak 31, angered over rumors that some Christians has insulted Islam. Pakistan’s anti-blasphemy laws are widely criticized as being abused by Pakistani Muslims trying to settle scores and extort property, but also are popular with ordinary citizens. Nadeen Anthony said Sharif’s election is unlikely to provide Christians much hope the government will curb abuse of the laws. “The Sharif brothers have been also very strict on blasphemy laws, which is one of the major causes of Christians’ troubles in Pakistan, especially in the Punjab province,” he said. Naveed Ghafoor, whose brother was falsely charged with blasphemy in 2009, doesn’t expect Sharif to change his position now. The centrist Pakistan Tehreek-e-Insaf party, third place in the parliamentary election and Pakistan’s fastest-growing party, made the blasphemy laws a part of their direct pitch to Christians. “The law has been abused as far as blasphemy is concerned; it has been used against them,” the spokesman said. The law “was there to protect minorities from abuse, but it has been turned around and used for personal vendettas, and it definitely needs to be modified now to suit the present day polarisation in our society”. The PTI’s message appears to have struck a chord. After securing one seat in the national assembly in the previous election, the PTI won 27 in May, just behind the 31 seats held by the greatly diminished, outgoing Pakistan People’s Party. The PTI earned enough support in the northwest province of Khyber Pakhtunkhwa to form a coalition provincial government. Their chief partner in the new government, however, is Jamaat-i-Islami, a conservative Islamic party that will control the provincial education and finance ministries. Against the complex backdrop of parliamentary government, which can take on different formulations at the federal and provincial levels, some Christians are willing to give Sharif and the PMLN another opportunity to confront extremism.